Replenishing the electrolyte solutions inside and outside your cells creates the balance necessary for water to move though the cells. Water moving through the cells not only delivers nutrients and removes wastes… moving water creates energy! When electrolytes are depleted the body may feel that it is running on half power. Muscles will respond sluggishly and you may experience an overall feeling of fatigue. A common sign and symptom of electrolyte imbalance is fatigue and the inability to complete necessary tasks. Fatigue may go beyond just being tired. By blending energy-restorative and electrical communication of ionic minerals Supplement Boost can help replenish and restore the body's energy supply. The Merck Manual mentions the effects of electrolyte imbalance of calcium can increase drowsiness and fatigue as an effect of too low amounts of potassium. PubMed states one cause of chronic fatigue syndrome is electrolyte disturbances which can include permanent changes in cell membranes and the ability to pass electrolytes. By blending energy-restorative and electrical communication of ionic minerals you can help replenish and restore the body's energy supply. 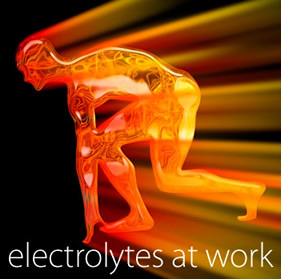 Athletes know the benefits of electrolytes and virtually every sport drink sold today supply minerals needed to create electrolytes used for its restorative powers and ability to sustain higher energy levels during extended workouts.